Justin Pogge Ready For NHL Return? Justin Pogge back in the NHL? Despite how ridiculous this question may seem, it could quite possibly become a reality in the near future. Best known to hockey fans as yet another Toronto Maple Leafs prospect who failed to pan out, Pogge played a mere seven games in the NHL before his career came to a close, for the time being at least. Justin Pogge began his playing career with the Western Hockey League’s Prince George Cougars. He played a total of 68 average games with the Cougars in one and a half seasons before he was traded to the Calgary Hitmen in the 2004-05 season. It was with the Hitmen in which Pogge began to establish himself as one of the top young goaltenders in North America. Despite being drafted in the third round, 90th overall by the Toronto Maple Leafs, Pogge’s play quickly began to overcome his low draft value. In his first half season in Calgary, Pogge was stellar, yet he was even better in the 2005-06 season, in which he not only won the Four Broncos Memorial Trophy as the WHL MVP but was also named the CHL Goaltender of the year. In the 2005-06, the Canadian World Junior team also came calling. Although he was not invited to the summer camp, Pogge was so impressive that he not only made the team regardless, but he earned the starting role. With Pogge backing a strong Canadian squad, Justin and team Canada took home the gold on home soil in Vancouver. Given his considerable success in junior, in which he racked up a 79-49-13 record in 151 games, and on the international stage, Pogge appeared poised for a long and successful professional career. In 2006-07, Justin Pogge turned pro, making his professional debut for the Toronto Marlies of the American Hockey League. In that season, Pogge played relatively well for a rookie starting goaltender, recording a 3.03 GAA, a .896% SVP and a 19-25-2 record. In his second AHL season, Pogge was much better, posting a 2.34 GAA, a .908% SVP and a 26-10-4 record. At this point, Pogge had finally begun to show the incredible potential which he had displayed at the CHL level, and was making a strong case for the future starting goaltender role with the Leafs. However, in his third AHL season at the age of 22, Pogge’s play began to regress. In 53 games in 2008-09, Justin recorded a 2.70 GAA and a .895% SVP. His 26-21-5 record was respectable, however he failed to record a single shutout, despite recording seven over the prior two seasons. Although Pogge’s numbers weren’t terrible, they weren’t great either, and certainly did not warrant the label of an up and coming star goaltender. In order to determine what they truly had in Pogge, the Leafs recalled Justin in the Winter of 2008. Although it wasn’t his first call up to the NHL, it was the first in which he would receive NHL playing time. Despite Pogge’s brief time in the NHL, it was filled with odd moments and a considerable amount of inconsistency. Whether it be strange decisions from Head Coach Ron Wilson or simply incompetent play on the part of Pogge, Justin managed just one win in his time with the Leafs. In all, Pogge put together an ugly 1-4-1 record, 4.36 GAA and a .844% SVP. Before Pogge knew it, he and his NHL career were over. Justin was traded to the Anaheim Ducks and eventually the Carolina Hurricanes, while he failed to play an NHL game with either organization. After additional AHL seasons and no NHL ice time, Pogge decided to pack his bags and head to Europe. In the summer of 2012, Pogge inked a deal with Ritten Renon and was off to Italy to play in Serie A, the top hockey League in the Nation. In a season which did wonders for Pogge’s confidence, Justin played fantastic hockey, likely the best of his professional career, recording a 29-15-6 record alongside six shutouts. His 2.37 GAA and .925% SVP were his best individual numbers since 2007-08, his second season with the Marlies. The following year, 2013-14, Pogge signed a one year contract with Bofors IK of the Swedish 1st Division. With his next new team, Pogge continued to show that although his career in the NHL had thus far failed to materialize, he should still be considered an elite goaltender. One year later, Pogge had once again been sensational. A 29-22-0 record with 8 shutouts, a 2.16 GAA and a .920% SVP; it was time for a tougher test. This season, Pogge signed with Farjestads BK Karlstad of the Swedish Hockey League. Despite retaining a young starting goaltender in Fredrik Petterson-Wentzel, Pogge split the starting role in his first season and was a splendid surprise. Although Pogge recorded a 13-13 record, he managed a sparkling 2.01 GAA and a .926% SVP with four shutouts. In fact, Pogge was also nominated as a finalist for save of the year, up against none other than former Leaf Mikael Tellqvist! This begs the question: could Justin Pogge actually return to the NHL? Sure it would be a longshot, but based on how well Justin has played in the last few years since leaving North America, a return home can’t be out of the question. After three highly successful seasons throughout Europe, NHL teams have likely taken notice too. At the age of 29 years old, Pogge is by no means an old goaltender. He has plenty of hockey ahead of him and could by all means play at least another ten years of hockey. As Senators goaltender Andrew Hammond has shown us, just because one may be an older, less experienced goaltender, it does not mean that such a goalie lacks the skill or determination to be an everyday NHL player. Yet, realistically, which NHL teams would be interested in Pogge’s services? Due to his lack of experience, a two-way deal would be highly sought after, however Pogge would likely push for a one way contract. Which NHL team, if any, would be interested in Justin is an absolute mystery, however chances are a team lower in the standings could be willing to take a shot at a potential diamond in the rough. 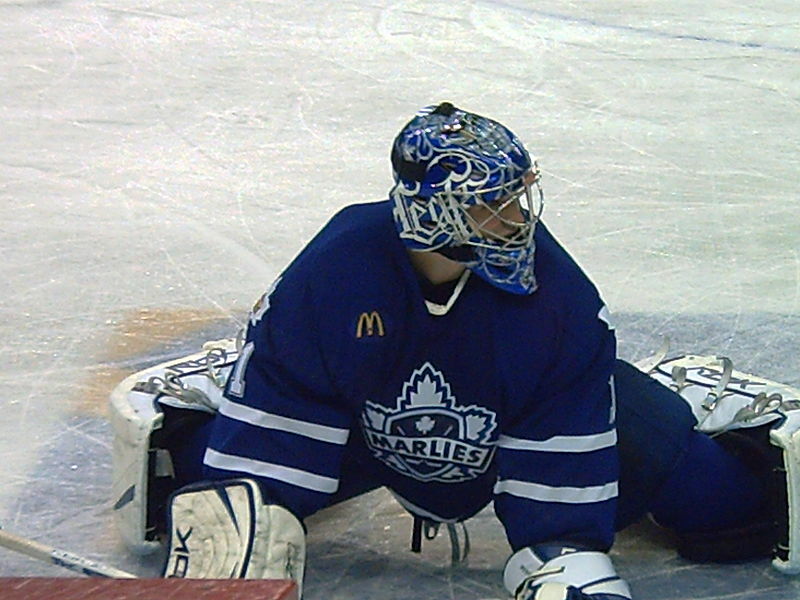 Do you think Justin Pogge will return to the NHL? To which team? Comment your thoughts below!